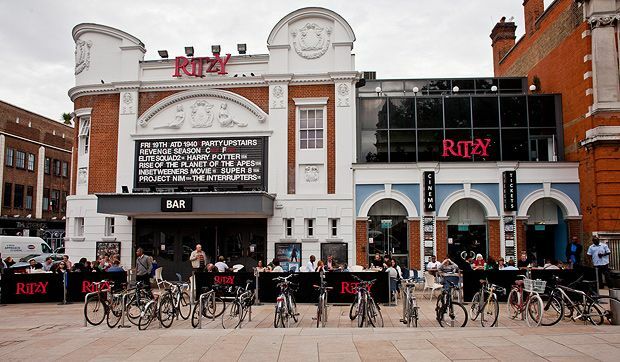 After surviving demolition threats in 1976, the Ritzy picture house has undergone a substantial renovation programme to become the UK's largest independent specialist cinema. Five screens, two bars and a cafe ensure that this is a thriving arts hub. There is full disabled accessibility in the building. No parking facilities are available in front of the cinema. The nearest parking bays are on Rushcroft Road but fill up very quickly during the day. With a prime central location next to Brixton Railway Station and Brixton Underground station in the Victoria line, the venue is easily accessible by public transport. Bus routes close to the cinema are 2, 3, 35, 45, 109, 118, 133, 159, 196, 250, 322, 345, 355, P4, P5, N2, N3, N35, N37, N109.